The alleged render of a Motorola device shows it with a four-camera system like the Mate 20 Pro. A recent trend has popped up in smartphones nowadays of including not one, not two but three, four and even five cameras on the back. The recently launched camera beast Huawei P30 Pro had four cameras on the back and one on the front. The Nokia 9 PureView that was launched during the Mobile World Congress 2019, had five cameras on the back. Now we are seeing a render of a Motorola smartphone with four cameras on the back. 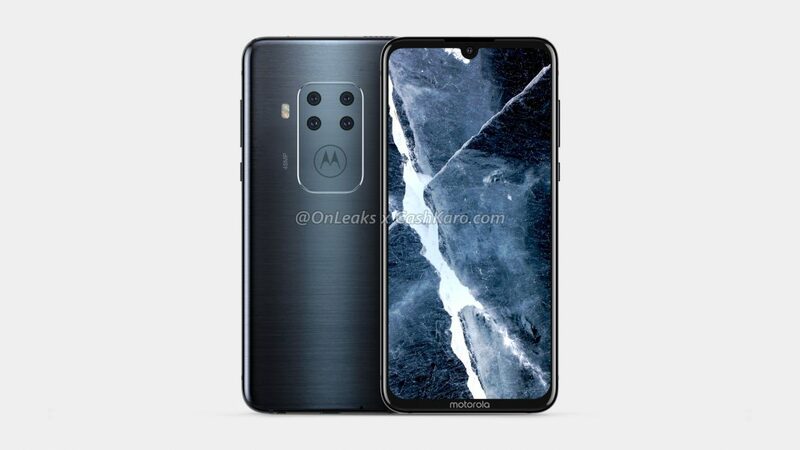 As per a leak, courtesy of Onleaks, an alleged render of a Motorola device shows it with a four-camera system arranged in a matrix form, like the one seen on the Huawei Mate 20 Pro (Review). The configuration of the cameras is not known but if current trends are any indication then we are sure to see an ultra-wide angle lens within that configuration. Apart from the quad-camera setup, the phone is touted to have a 6.2-inch display with a waterdrop notch. We can also see a type-C port, a 3.5 mm headphone jack and since there appears to be no physical fingerprint reader, we should see an in-display sensor. Apart from that, we are not sure on any other details, not even what the device may be called, although it could be the Moto Z4.